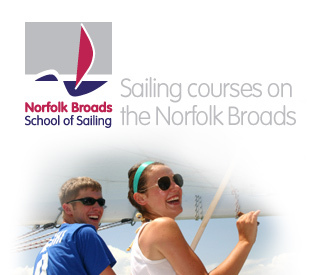 Based on the Norfolk Broads in the UK, the Norfolk Broads School of Sailing provides a wide and varied range of RYA and non RYA courses, and operated by Eastwood Whelpton Sailing Holidays. From live aboard RYA training courses, where you can holiday afloat while you take your chosen course through to our very popular 'Taste of Sailing' days for the first timer, we believe that we have something special to interest everyone who would like to start sailing or improve their existing skills. We have a variety of cruising yachts which are provided from our Eastwood Whelpton Sailing Holidays fleet. Traditional family sailing holidays have been running from our base at Upton for more than 50 years. Our RYA courses are run from Upton Yacht Station and all the yachts are featured on our website. For those not wishing to live aboard, but who want to get afloat we have classic style open day boats, suitable for up to four people, giving you an even wider choice on our 'Taste of Sailing' course. All our courses are extensively practical and you will cruise along the rivers and Broads, meeting up with your instructor each morning, possibly at a different place each day. 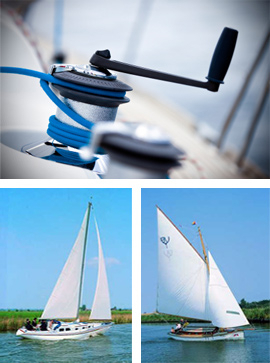 All our instructors are RYA qualified and have many years of Broads sailing experience. Courses are run at a relaxed pace allowing plenty of time for free sailing and for enjoying the unique charm and beauty of the Broads. As a rough guide, the total cost of a short course suitable for two beginners including yacht charter starts at £925 and the cost for a full week's course on a comfortable yacht for four people starts at £1135. These prices are for courses in the low season and are fully inclusive. .